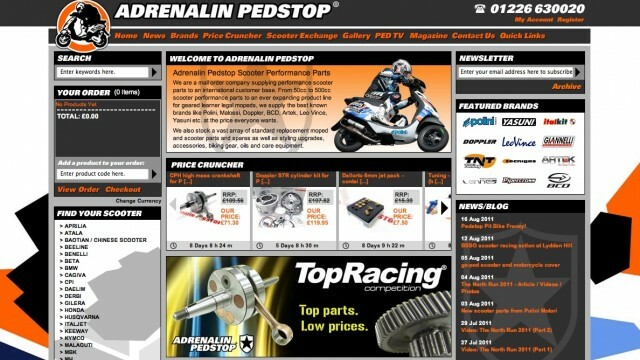 The first shop that we are gonna review in our “Introducing” series will be the Adrenalin Pedstop Store from up north UK. It is one of UK’s best stocked scooter tuning shops focusing on everything automatic from 50 to 650ccm. 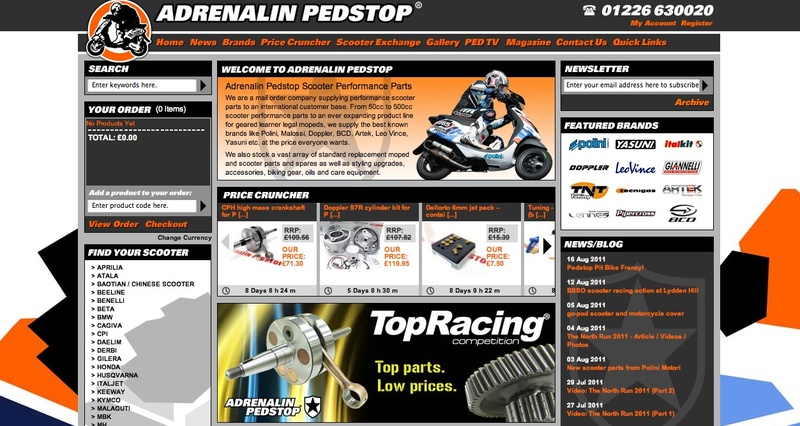 Adrenalin Pedstop stocks the usual range of brands including Polini, Malossi, Yasuni, etc. I was a bit surprised to not find any real exclusive engine parts in their shop from e.g. PM, Kiesler Racing, 2Fast, or Jolly Moto. However when it comes to optic parts their exclusivity goes as far as Adrenalin Pedstop full body kits for the Gilera Runner. 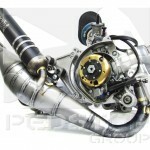 Worth a watch is also the Adrenalin Pedstop YouTube Channel where videos are being uploaded on an almost weekly basis. Their competitive pricing combined with free delivery for the UK starting at £40 should make it your one stop shop. But also customers from the rest of the world should take note of their special offers available through the “Price Cruncher“. The international shipping costs of €25 might be a bit rough but given their ultra low prices you might be able to make a deal nonetheless. 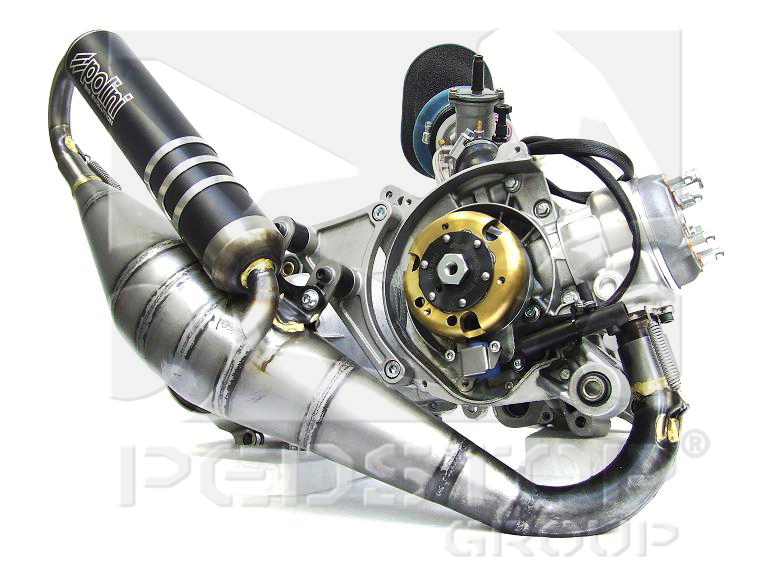 The Polini Big Bore Cylinder Kit e.g. is priced at £260 (equals 297€) whereas here in Germany it is available at around 350€. Adrenalin Scooter Performance Parts Ltd.